Everyone has their favourite Hitman level. Where most triple-A games are about killing indiscriminately, IO Interactive’s assassination series asks you to value the kill. You have a mission – a target – and you are rewarded for infiltrating where they are holding up, slotting them, and getting out before anyone even knew you were there. You will likely never manage this perfect murder on your first attempt. Hitman’s levels are like a mechanical clock, each NPC acting as a gear. There’s a pattern to their movements, and everything goes like clockwork until Agent 47 puts a spanner in the works – the works being someone’s head. You are asked to learn these levels via repetition, to discover their nuances as you work your way towards that Silent Assassin rating. I think this is why nobody can agree on their favourite Hitman level – because the experience you have within each feels so personal. For the record, my personal favourite is Sapienza from Hitman Season One, followed closely by Blood Money’s Curtains Down. 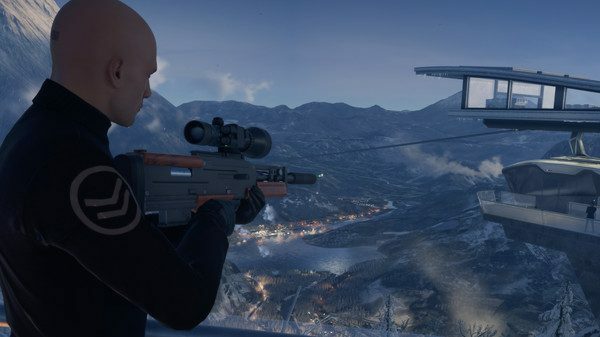 But enough about me – here are the best Hitman levels of all time, as voted for by the people who made them. Lasse Bruun Hansen: level designer content: I loved A New Life for its great use of a grounded location. It’s not the most grandiose level in Blood Money, but its strengths lie in how well it integrates everyday life in a quiet suburb and the opportunities presented within that setting. It delivers on expectations for what an everyday neighbourhood could be like, as well as mixing it up by housing a gangster under heavy protection in a place that would ordinarily be plain and uneventful. Using knowledge of familiar surroundings as a player feels immensely satisfying and highlights the great use of ambient life that the series is known for. 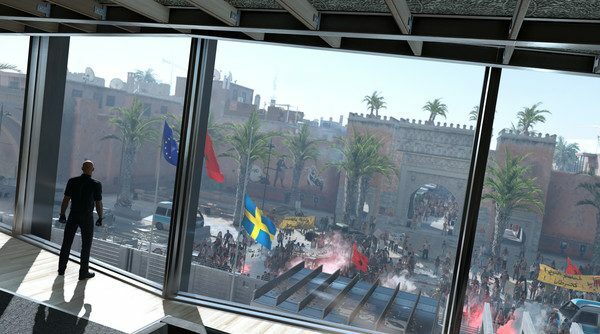 A New Life is a great example of a well-implemented intimate space and goes to show how versatile and unique the locations in Hitman are. Marta La Mendola – level designer: I am in love with Sapienza. As an Italian, being in that level is like going back home for vacation. First you are astonished by the environment: this beautiful, quiet little town in Italy, where everyone is relaxed and eating ice-cream, unaware that the ultimate bio-weapon is being created right under their noses. Second, there are plenty of creative ways of taking out your targets and fun disguises to roleplay with: like the Priest! Who has never wanted to be in the confession booth, listening in to people’s dirty secrets? I also loved this level for bonus missions such as Landslide and the Author. They are tighter missions, easy to get into if you don’t have a lot of time to spend learning a big level, and [they] have more experimental gameplay. For example, with the Lawyer opportunity, once you have learned the various ways the scenario can play out, you can decide whether to become the Lawyer and attend the meeting, be the bodyguard in charge of escorting the Lawyer to the meeting, or stealth your way in and find an advantageous point. Being able to complete an opportunity in different ways is a must for me. Mathis Widrat – environment artist: Marrakesh is surely is one of the most unique missions in the entire franchise. Unlike the previous locations, you do not travel to a quiet and peaceful town somewhere in Italy or an Opera House in Paris (#BloodMoney) – but instead to a city which is just one step away from a violent military coup. 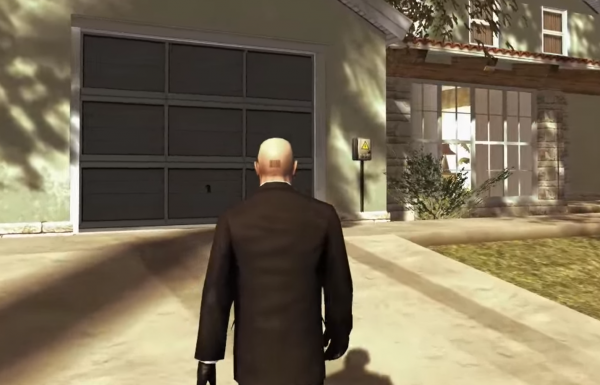 This adds an additional challenge for Agent 47, since he does not only have to avoid normal guards and police, but also heavily armed soldiers who are eager to shoot any suspicious person on sight. Meanwhile, large crowds of tourists, locals, and protesters roam the dusty streets, flanked by diverse shops, little cafés and traditional red loam buildings. All areas are created with a unique attention to detail – shopkeepers loudly promote their goods on the busy bazar, the lamp shops in shaded corridors remind you of a tale from One Thousand and One Nights while soldiers patrol in front of a long-abandoned school. The last was my personal highlight of the map – a former school, now a military compound where the corrupt general plans to overthrow the formal government. You can still see the leftovers of former, happier times. Broken chairs and tables have been cast aside, books have been carelessly thrown on the ground while educational posters are still decorating the walls. Signs of decay and degradation are visible everywhere. A sharp contrast to this is the new and elegant embassy building. Though you can’t fail to notice that while besieged by an angry mob, the embassy’s staff have been thrown off their day-to-day lives into a more chaotic routine to erase every proof of connection between them and the coup. The deeper you get into the building’s secrets, the more you uncover the true meaning which is behind the ongoing conspiracy. In the end you won’t feel bad for the capitalistic banker nor the ambitious general – after all Marrakesh, and probably the whole world, is better off without them. Sidsel Marie Hermansen – game designer: I must begin with saying that I do not have one single favourite mission in the Hitman series, there is simply too broad a palette to choose from. So, instead, I will go with one that I have recently been obsessing over with a colleague, an Escalation called The Cheveyo Calibration which was released as one of three new escalations in the GOTY edition. It is set in the night version of Marrakesh, and is, like most Escalations, focused on a small area of the location – in this case one of the shop buildings. It is a very tightly knit mission, where on the final stage you have to take out quite a long string of targets, but due to the small area and the closeness of the targets it becomes a study in timing, almost like a dance. When it is going well, it propels me into this amazing and thrilling flow feeling, where, for a moment, I really feel like the world’s best assassin … until I finish and check the global leaderboard, and yet again can marvel at those insane times at the top! Everything is beautifully underlined by the night-time lighting, the ambient sounds of the streets, and the environment art, creating this wonderful little gem of a mission, which really sticks in your mind – especially when competing with a friend where you become obsessed with optimising your strategy and cutting those precious seconds off your time to beat their score! Theuns Smit – marketing coordinator: My favourite mission from the Hitman series has a lot to do with nostalgia. The first time I experienced the game was through a PS2 magazine demo disc, containing the Anathema mission of Hitman 2: Silent Assassin. Back in 2002 when it came out, we didn’t have the luxury of YouTube, and the internet was still busy expanding, which meant you had to rely on buying these gaming magazines for your monthly dose of gaming news. From the moment I booted up the demo, I was intrigued by the various opportunities you had to enter the mansion grounds and pull off your silent assassination of Don Guiliani and rescue Father Vittorio. I played that demo over and over and over, each time trying a new point of entry, fooling around with the various disguises, and pushing myself from never being noticed to full on guns blazing! It was stealth gameplay on another level that did not only mean “hide in the shadows and never be seen”, but instead “hide in plain sight and get away with murder” – quite literally. I am inspired by seeing how far the franchise has come and absolutely love the dedication and determination of our dev team’s efforts in creating this World of Assassination for all players to experience. Bjarne Kristiansen – level designer: My favourite level has to be Hokkaido, in close competition with Sapienza. I hadn’t played Hitman before joining IOI, and I joined around the time when Sapienza launched, so I spent a lot of time powerplaying that location and Paris, to get to know and feel what a Hitman level was about. Hokkaido is my favourite level not only because it was the first major level I worked on but because I think it’s a level that manages to stay relatively small but keep the core Hitman mechanics intact. It’s a very condensed and concentrated Hitman experience with many options and opportunities despite its size. It’s also a level that throws some new things into the mix. Using outfits as keys means you need to figure out how to get specific disguises when you want to go through specific doors, rather than just breaking them down or lock-picking. Starting the game without an inventory (at least the first time) also forces you to improvise and adapt, and having a main target that is unconscious and stationary may sound like an easy kill, but getting to him certainly is not. The setting, and feeling of infiltration, is really cool, and I think it manages to keep with all the things that similarly made Sapienza a popular level; the ability to roam fairly freely around the main targets and scope out approach points to the kill before infiltrating the actual “fortresses” and executing the executions. The location, on a mountainside, is also great. It’s quite literally A View To Die For. Travis Barbour – community manager: The first level that comes to mind is the Courthouse in Absolution. Whilst it’s not necessarily the best Hitman level objectively speaking, not least because it doesn’t have a target, it’s definitely one of my favourite locations. The mission starts with 47 watching a court case unfold; The People vs Timothy Hawke. Timothy is what makes the level memorable. He’s been charged with the destruction of garden gnomes, because he’s convinced that the UN are using them to enslave and control the minds of the residents of Hope. Timothy is also wearing a colander, wrapped in tin foil. This led to him affectionately being known as the Tin Foil Hat Man. With no target, you have an objective; “gain access to the cells”, which are located behind the courtroom. The great thing about the level is the options you have for getting there. Sure, you can sneak or shoot your way through, but taking the time to manipulate the court proceedings will give you the option to either complete the objective as the judge – and dismiss the case immediately, or you can figure out how to take Timothy’s outfit and be sentenced to jail. The other main reason that the Courthouse is one of my favourite levels is that players ultimately decide Timothy’s fate – and we had plans for him to be a much bigger character than he turned out to be. 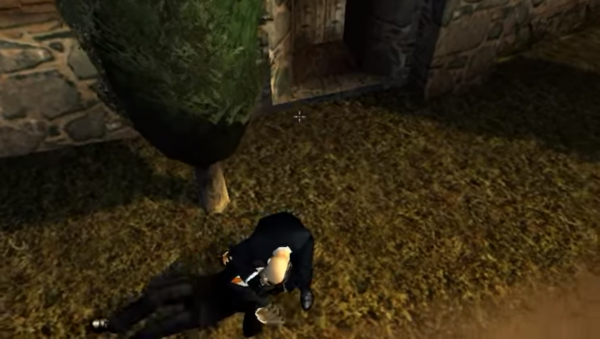 As well as appearing in Hitman Sniper Challenge, he was the focus of an un-released ARG that was planned for Absolution. In short, we wanted to plant ‘Tim’ into the Hitman community and have him ask for help in locating gnomes around Hope, which he then destroys. Unfortunately, Timothy’s story would end when he is arrested and his parting gift to players is the surveillance tape of his crime. That very tape is used in-game as evidence against Timothy and it looks exceptionally similar to the IOI basement.